Hallmark's Merry Madness is Back + See 2 Faith-Filled Christmas Movies this Week! It's a miracle tonight (Thursday, February 28th) on Hallmark Movies & Mysteries, with the airing of "Once Upon a Christmas Miracle," starring Aimee Teagarden and Brett Dalton. 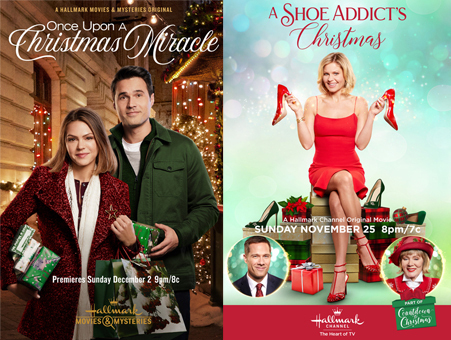 Then on Friday night, (March 1st) the Hallmark Channel will have a special encore airing of the inspirational story, "A Shoe Addict's Christmas," starring Candace Cameron Bure, Luke Macfarlane, and Jean Smart! The Hallmark movie “Once Upon a Christmas Miracle” is based on the true life story of Heather Krueger and Chris Dempsey. Storyline via Hallmark: After receiving a medical diagnosis before the holidays, Heather Krueger discovers she is in urgent need of a life-saving liver transplant. Facing incredible odds against finding a donor, she’s shocked when a stranger, Chris Dempsey, volunteers to donate half his liver to her. As Heather and Chris get to know one another and their families before and after the transplant, they form a deep connection and begin to wonder if the closeness they feel goes beyond the special connection between organ donor and recipient. The two must decide if Chris’s selfless act is the beginning of a beautiful, true love story. The Hallmark movie "A Shoe Addict's Christmas" is based on the book, by the same name, by author Beth Harbison. 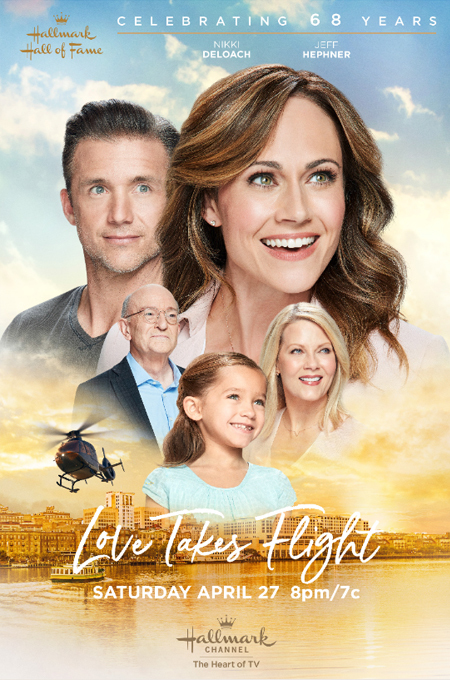 Storyline via Hallmark: As Christmas approaches, a department store worker whose life lacks fulfillment meets her guardian angel, who offers her a chance to change her circumstances by magically transporting her to Christmases past whenever she tries on a new pair of shoes. But just as things begin to look promising — and she moves toward landing her dream job, improving a family relationship and finding love with a handsome fireman — challenges arise and she begins to lose faith in the Christmas spirit. When she once again revisits a Christmas past, she’s offered one last chance for her holiday wishes to come true. 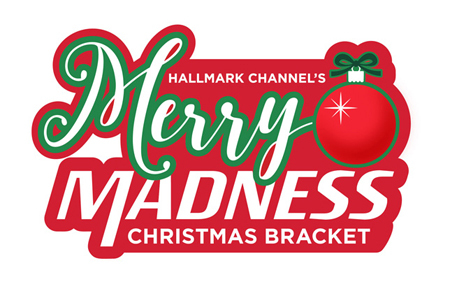 Hallmark's Merry Madness Christmas Movie Bracket Challenge is back again this year! 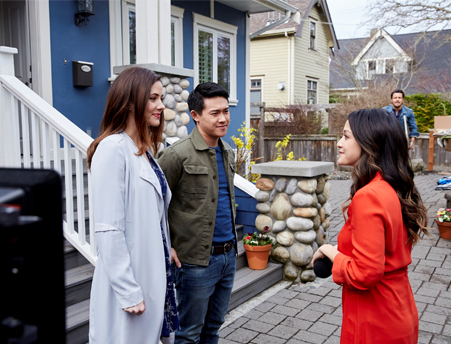 The game will begin Friday, March 1st on HallmarkChannel.com! For all the rules and how to play... please visit Hallmark's web-site - for all the details! 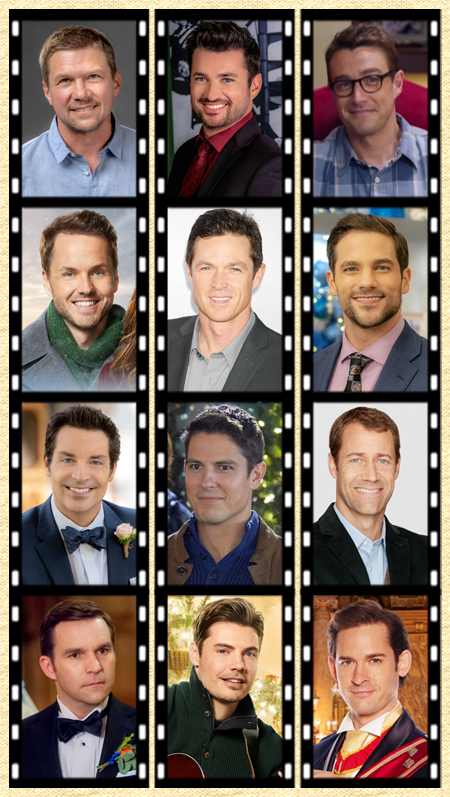 Remember to check out all the details on Hallmark's web-site and start voting Friday, March 1st! You could win the grand prize of $10,000! Also, I hope you thoroughly enjoy watching "Once Upon a Christmas Miracle" - Tonight on Hallmark Movies & Mysteries AND "A Shoe Addict's Christmas" - Friday night on the Hallmark Channel! Have a Merry Day, Everyone! with the annual Family Movie Awards! This is Poll #7 of 8 for the *It's a Wonderful Movie* Awards, as we have been honoring our Favorite TV Movies in various categories! Thank you to everyone who has voted (so far) for your Favorite TV Movies, Mystery movies, and Faith/Inspirational movies! 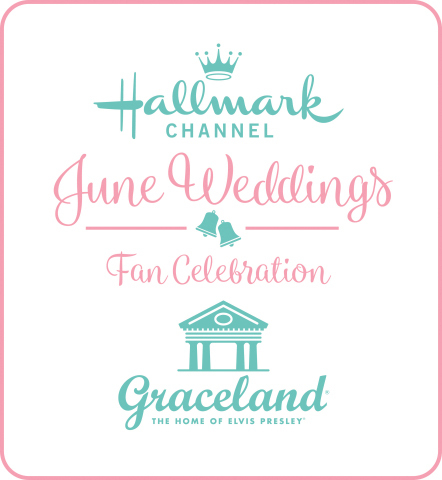 Plus, your Favorite Couples from Original TV Movies and Christmas TV Movies and Actresses! If you are just joining in... Welcome! 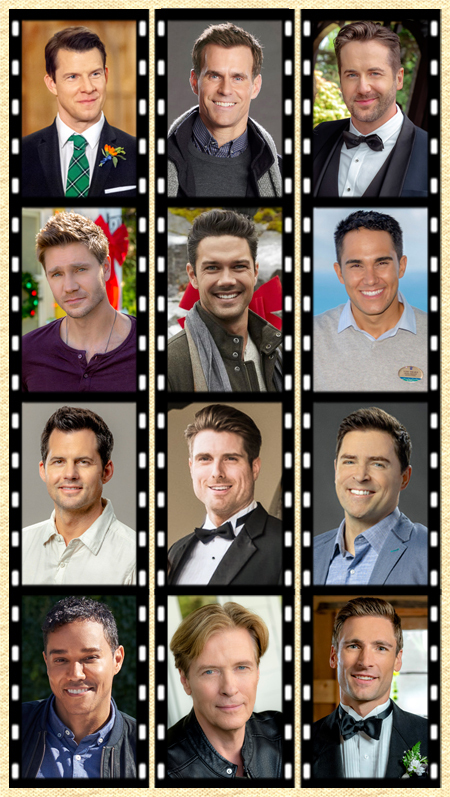 Next up, we will be voting for our Favorite lead Actors in a TV Movie! See nominees & vote below! Next week, we will be voting for our Favorite CHRISTMAS TV Movies from 2018! Stay tuned for that! Note: The Actors listed above premiered in TV Movies on the Hallmark Channel, Hallmark Movies & Mysteries, INSP, and Lifetime. For more details on each film, click on their titles above, and please Vote for ALL your favorites below! by Voting in the Poll below! *This Poll begins February 27, 2019 and ends March 6, 2019. PROVO, Utah, Feb. 26, 2019 /PRNewswire/ -- BYUtv, a family entertainment network available nationwide over cable, satellite and streaming, today announced that production has begun on the highly anticipated film "Christmas Jars," which will air on the network during the 2019 holiday season. 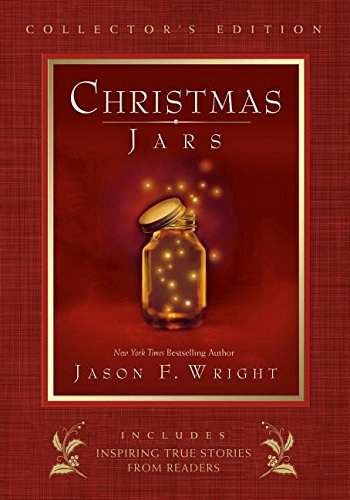 Based on the bestselling novel by Jason F. Wright, it tells the story of reporter Hope Jensen, who uncovers the remarkable secret behind the "Christmas Jars" – glass jars filled with coins and bills anonymously left for people in need. "'Christmas Jars' is a phenomenon with a reach far beyond that of a typical novel, as it created a new tradition that has changed many lives over the years," said Michael Dunn, managing director of BYUtv. "It is exactly the kind of uplifting story that we want to be part of at BYUtv, and we hope that this film will bring families together each holiday season and inspire them to start 'Christmas Jars' of their own." "Christmas Jars" stars Jeni Ross ("Suits," "Titans") and Markian Tarasiuk ("Take Two," "The Magicians") and is directed by Jonathan Wright ("Awakening the Zodiac," "Love, Romance, & Chocolate"). 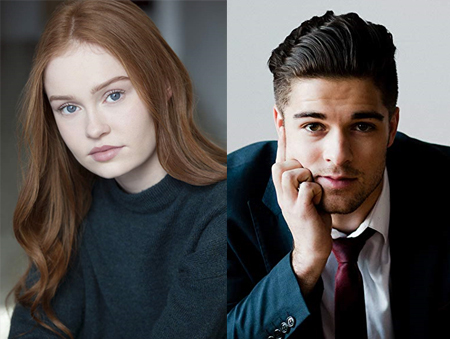 Produced by Muse Entertainment, filming is taking place through March 2019 in Ottawa, Ontario. The executive producers are Jonas Prupas and Jesse Prupas, and the producer is Shane Boucher. BYUtv's original programming slate includes the new scripted adventure comedy "Dwight in Shining Armor," in which the Middle Ages meets Middle America; the long-running sketch comedy series "Studio C," which touts over 1 billion views on YouTube; "Relative Race," the first family-history based competitive reality show that follows four teams as they meet relatives linked by DNA for the first time in a race throughout the United States; "Random Acts," an unscripted hidden-camera reality show that highlights the altruistic nature of human beings by featuring real people who are the recipients of random acts of kindness; and the new cooking competition series "Dinner Takes All" that's all about food, family and fun. BYUtv is available across the country via cable, satellite and multiple digital media platforms. BYUtv provides families more than 1,700 hours of entertaining and compelling programming they can enjoy together. The network's content is trusted, contemporary and clean, yet clever and sophisticated enough to inspire children and parents alike. BYUtv's diverse portfolio of original, co-produced and acquired content includes scripted and unscripted dramas and comedies, 700+ hours of live HD collegiate sports, game shows, and holiday special made-for-tv movies, docudramas and concerts. 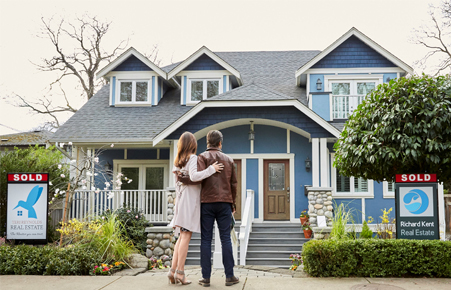 BYUtv is available in 50 million homes in every state of the country on DISH Network, DirecTV and 146 other major cable systems. A digital pioneer, BYUtv was the first U.S. television network to stream all of its content live and unencrypted over the internet. Today, BYUtv has over 1 million YouTube subscribers and 1 billion views and is available live and on-demand on multiple digital platforms free of charge, including Apple TV, YouTube, Roku, Amazon Fire, Chromecast, Xbox One, Windows Media, digital apps for iOS and Android, and BYUtv.org. Based in Provo, Utah, BYUtv is part of BYU Broadcasting, which is owned by Brigham Young University. Muse Entertainment is a leading film and television production company and international distributor known for its well-crafted and high-quality productions. It has development and production offices in Montreal, Los Angeles, Toronto and Vancouver. 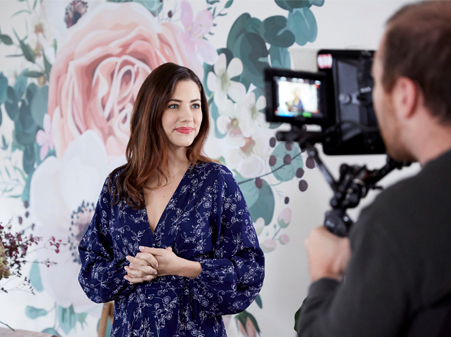 Muse productions have won critical acclaim, large audiences, over 100 international awards, including Emmy Awards, and over 300 award nominations. Muse produces a wide range of primetime comedy and dramatic series, miniseries, television movies, feature films, documentaries, factual entertainment, family programs and animation. MARK the 25th - with the MOVIEGUIDE Awards & a CHRISTMAS Movie pick! Here at "It's a Wonderful Movie" we highlight every 25th day of the month - as we countdown to Christmas! We started doing this last year, long before Hallmark started playing Christmas movies two nights of the week! 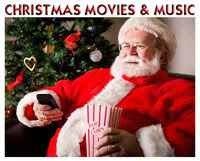 For the huge Christmas movie fans who wish to join along, simply pick something Christmassy to watch today on the 25th! 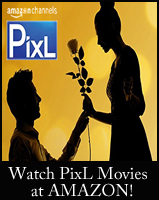 It can be a Christmas movie, cartoon, family sitcom or anything you like. (There's only one stipulation - it must be family friendly.) Please share in comments below your Christmas choice for the day! On this day, February 25th, there are 302 days and so many hours & minutes - until December 25th, Christmas day! 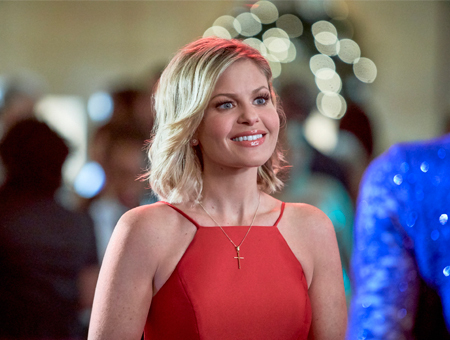 "Switched for Christmas" is such a fun, mixed up, crazy, messy, sweet holiday movie - where two twin sisters (both played by Candace Cameron Bure!) switch places over the Christmas season! If you love the classic Disney movie "The Parent Trap" starring Hayley Mills or various versions adapted from it, you, most likely, will love this adaptation, too! 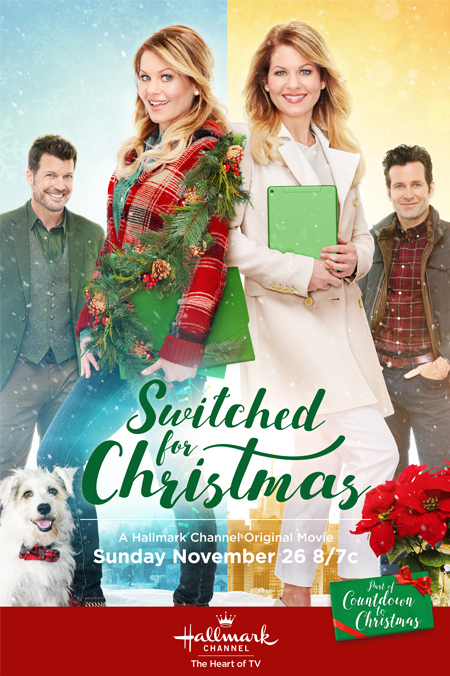 "Switched for Christmas" storyline via Hallmark: Identical twins Kate and Chris Lockhart plot to be the other sister -- at Kate’s office and Chris’ school – and take on planning their sister’s Christmas events. One rule, though: no romance. Chris as Kate is making her mark in the office, but co-worker Greg Turner grows curious about her sudden style. Kate as Chris, warming to her sudden family life, is introduced to a wealthy donor to help out the festival. Her jaw drops when she realizes that Tom Kinder is a teenage crush she met at that very festival 20 years ago. Can the sisters pull off their big events? And what about no romance? Will their little game of deceit take two hearts with it – Greg’s and Tom’s? "Switched for Christmas" is available from Amazon - on DVD! 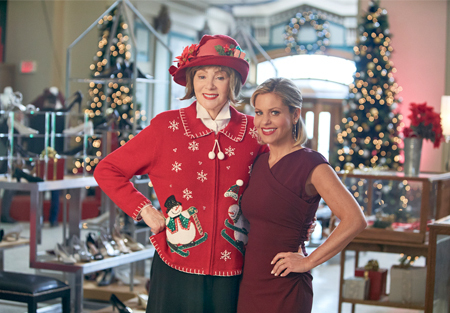 As I mentioned above, Candace's movie, "A Shoe Addict's Christmas" is one of the Movieguide Awards nominees, and Candace and her co-star, Jean Smart, are nominated for their performances in the film. 🌟 "A Shoe Addict's Christmas"
🌟 "When Calls the Heart: The Greatest Christmas Blessing." 🌟 and Lori Loughlin ("When Calls the Heart: The Greatest Christmas Blessing"). *You can see the complete Movieguide Nominee list here. I just love seeing all of these nominees from Hallmark included; my hope is... we will continue to see more next year! 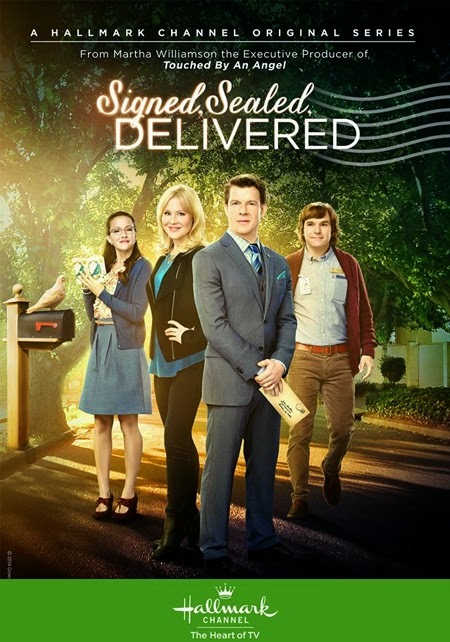 I have often said, I would like to see "Signed, Sealed, Delivered" nominated in the most inspiring TV program category, and hopefully, with more movies to come from "SSD," that wish can still come true! Enjoy the Movieguide Awards - Tonight! 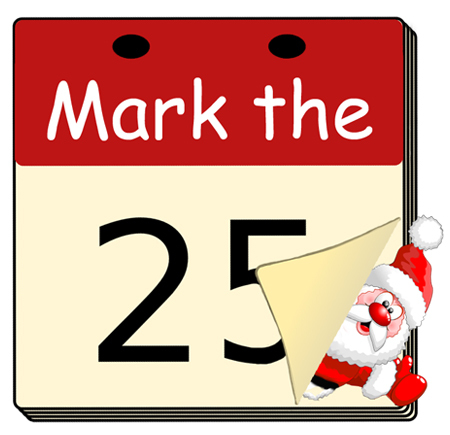 And, Merry "Mark the 25th" Day, Everyone! Please share your Christmas choice in comments below! 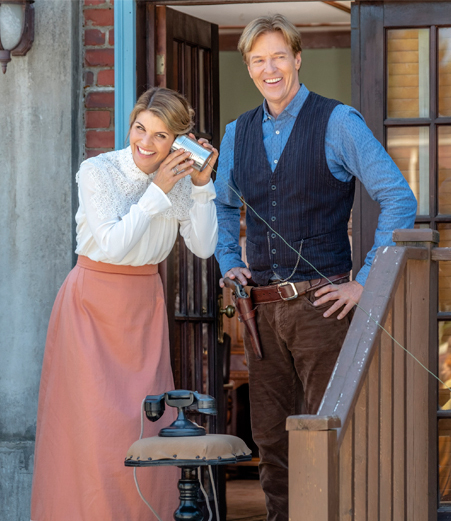 This Weekend: Say Hello to an All New Season of Hallmark's "When Calls the Heart" as Hope Valley welcomes the Telephone! Plus, it's "Chronicle Mysteries" movie #2 and "Love on the Menu!" What's cooking on Hallmark this weekend? with love, heart and mystery! *If you love the song featured in the movie... "Love Someone," by Lukas Graham - you can watch Lukas perform it live on Hallmark's morning show, Home & Family, or you can download it from Amazon for your collection! *Following "When Calls the Heart," is a new season of the reality show, "Meet the Peetes." 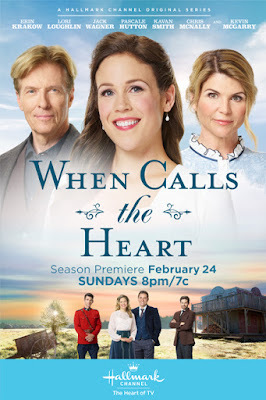 *If you miss an episode of "When Calls the Heart" Season 6, you can stream the episodes via Prime Video on Amazon! The weekend has finally come... let us rejoice in it and let this relaxation time set in! 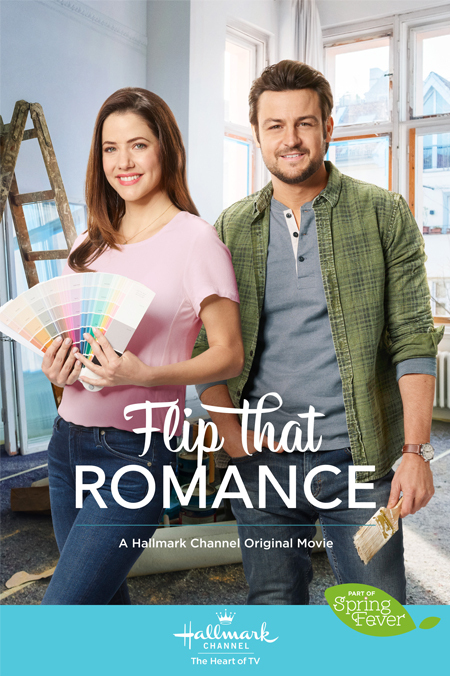 Saturday is always a good time to enjoy an all new Hallmark Channel movie! 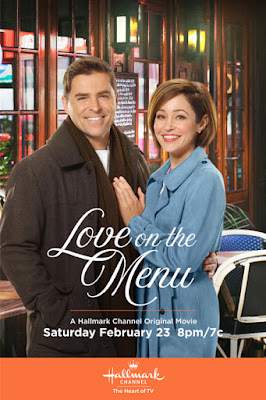 I can't wait to see what Kavan Smith and Autumn Reeser are cooking up in "Love on the Menu!" And Sunday... Are you joining me in opening our hearts once again to an all new season of "When Calls the Heart?" Last season, I admit, was a bit rough. I was expecting it at the end, but didn't want to admit it. However... now, I am happy to see the characters put most of that sorrow in the past, and I'm looking forward to seeing them move on to brighter days ahead in Hope Valley! 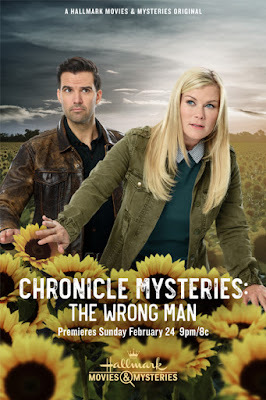 Since "WCTH" premieres now at their new time, 8pm/7c., hopefully that means more families can watch together... and then, as soon as it's over, you can watch the new Chronicle Mysteries movie starring Alison Sweeney live at 9pm/8c.! I've been saying for so long this would be better timing, and I'm so delighted, Hallmark agrees! 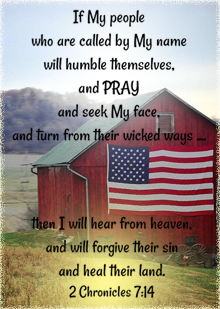 Have a Wonderful, Blessed Weekend, Everyone!